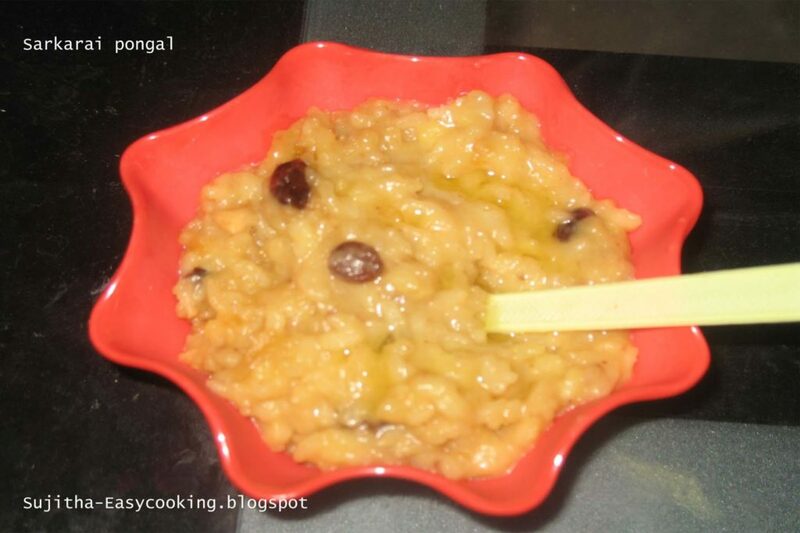 Pongal is a Four-days- Long Harvest festival Celebrated in Tamil Nadu, a Southern State of India. For as Long as people have been planting & gathering food, there has been some form of harvest festival. Pongal one of the most important popular Hindu Festivals of the year. This Four-day Festival of thanksgiving to nature takes its name from the Tamil word meaning “To Boil” and is held int he month of Thai(Jan -Feb) during the season when rice, sugar-cane, turmeric…. are harvested. 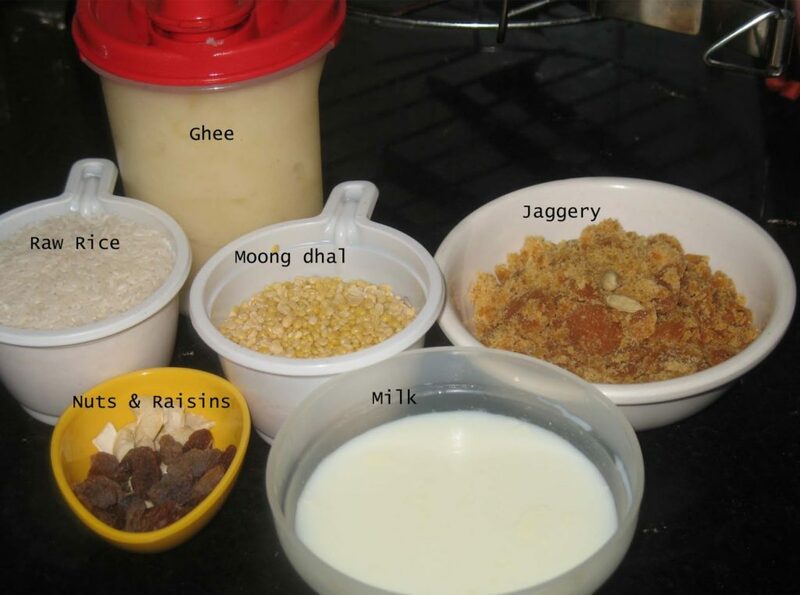 * Add the Jaggery & Cardamom, put 1/2 cup water to form the Jaggery water..